lets graph:: FUN to be a cop ? FUN to be a cop ? True. I don't think I've ever been in a doughnut shop when a cop wasn't there. Well, I dunno about the coffee and doughnut part in reality..but Hollywood flicks manage to show them consistently..lol!! So funny! I use to work at a UDF. 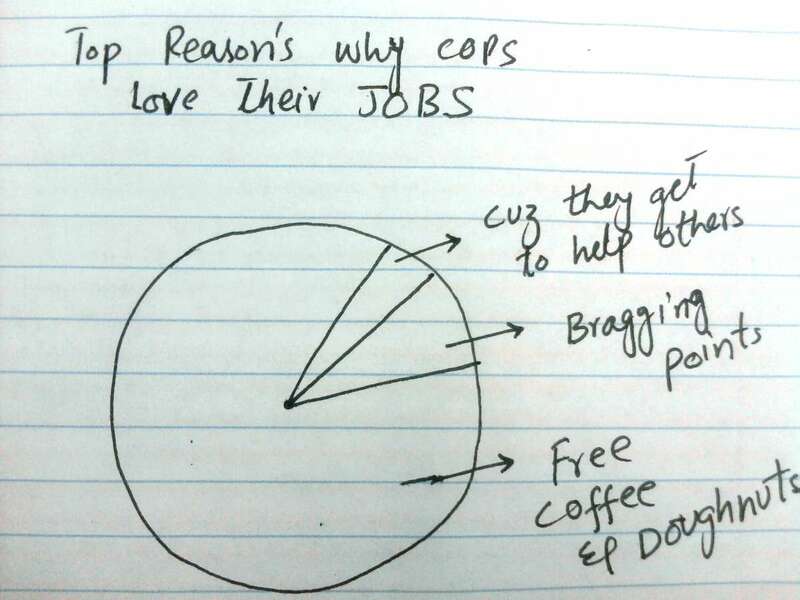 Yes Cops get free coffee and doughnuts!